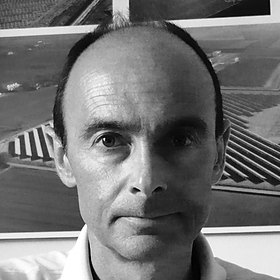 Marco Bonvini is principal and business manager of Solar Farm [www.solarfarm.it] an engineering company delivering solar photovoltaic projects and storage solutions. He blogs about their activity on www.energia-off-grid.com [Italian] and www.off-grid-building.com [English]. Marco has past experiences as Project Manager / Business Manager in the Telecom and Electronic industries and as Senior Project Manager of large-scale solar projects. Marco holds a M.Sc. in Industrial Engineering from the Polytechnic University of MIlan, speaks Italian (native), English (fluent), German (professional), French (basic). He lives in Parma, Italy with his family. Marco Bonvini is engineering hybrid energy generation systems for off-grid standalone applications. International Sourcing and Purchasing-process upgrade that eventually led to savings and improved performance. Start-up and general management of the first (successfull) Tower Company in Italy, Design and Deployment of a Network of hosting-towers for mobile-phone radio stations. The company was eventually sold with a four-time return on investment. Contract Management about the implementation of the Romanian Telecomunication fiber optics backbone. Renewable Energy, Micro-grid generation, Project Management, Hybrid Marine Engines, Energy, outdoor sports.